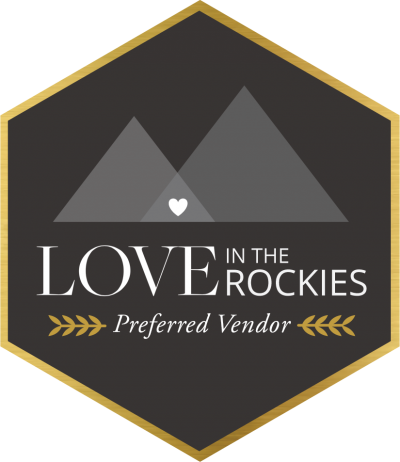 Meeting and working with incredible local vendors for your wedding is a treasure and a part of the planning journey that is exciting and fun. You'll find you get to know the local people you work with, you are not just an order number, and more often than not these people truly pour their heart and soul into every part of what they do. Lu Mascaro from Uppercase Press is one of these incredible people who has a passion for wedding stationery (and gorgeous letterpress...oh how we love letterpress!) and helping couples create beautiful invitations and memories. Lu took the time to share her heart and tips with us today and you will be surprised at some of the amazing things she has to say (and by the fact that letterpress is NOT always more expensive than digital wedding invitation printing!). Every couple has an unique vision for their wedding day and for their stationery pieces. It amazes and impresses me how couples can come up with the most brilliant ideas for a blank piece of paper. It's like magic, and I love seeing the process unfold. I've been married for almost 10 years, and when I got married I never thought I would be a letterpress print maker one day. I also never imagined I would be printing other people's wedding invites (how lucky am I?). I can still remember how important our invitations were to me. I asked a friend, who is an artist, to illustrate them. They were printed in navy ink on a brown bag paper. We wanted a rustic, but elegant look to them and they turned out perfect. Even though we had a small and simple wedding, the invitation was one of the most important items on my check list. And I definitely don't regret taking the time to ensure they were exactly what we wanted. Wedding planning, including choosing your stationery, is such a personal affair. That being said, one of the first things I'd like brides to know is wedding stationery is much more than just paper. Stationery can set the tone for the entire wedding celebration and give your guests an idea of who you are as a couple. The invitation is also an important starting piece for the couple, their families and friends. It is the official announcement of their big step in choosing to spend their life together. 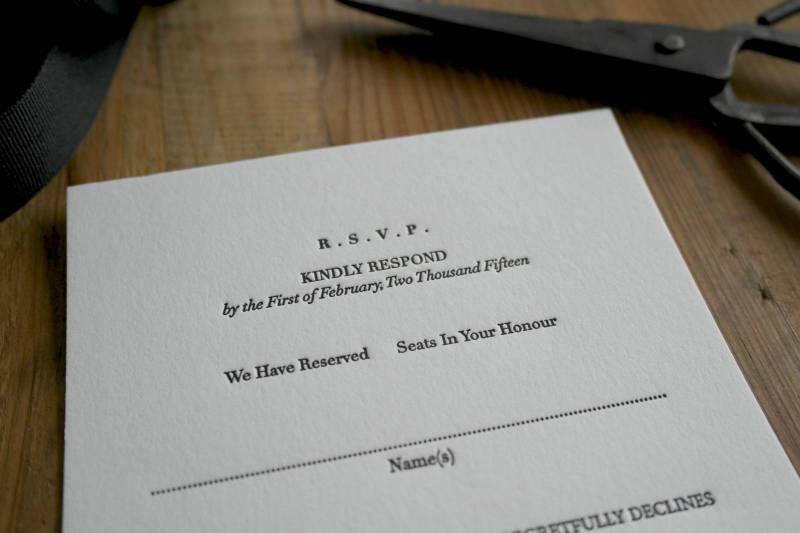 As a second generation letterpress print maker, I get very excited when I work with couples who truly appreciate and understand the value and quality of bespoke hand-printed wedding invitations, but most of all, who appreciate the letterpress printing method as a craft which is slowly becoming a lost art. One of the myths surrounding letterpress is that it's more expensive than other printing methods. That is simply not true. Like any other printing method, there is an initial investment if you are printing just a few pieces. 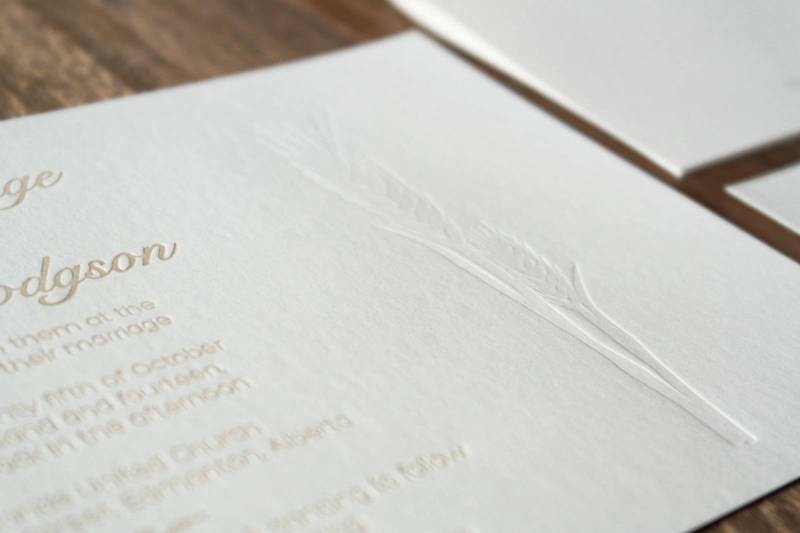 It's also important to keep in mind letterpress is a labour intensive process with each invitation individually pressed. 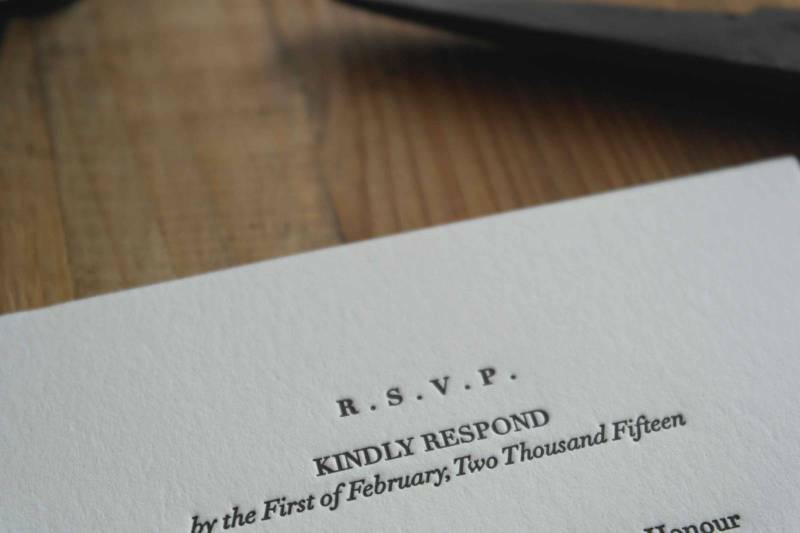 Machine printed invites can actually be a lot pricier than letterpress invites. As with every printing method, the more you add to it, the more expensive it will get. This also applies to letterpress, but by no means is a one-colour letterpress invitation much more expensive than a digitally printed one. 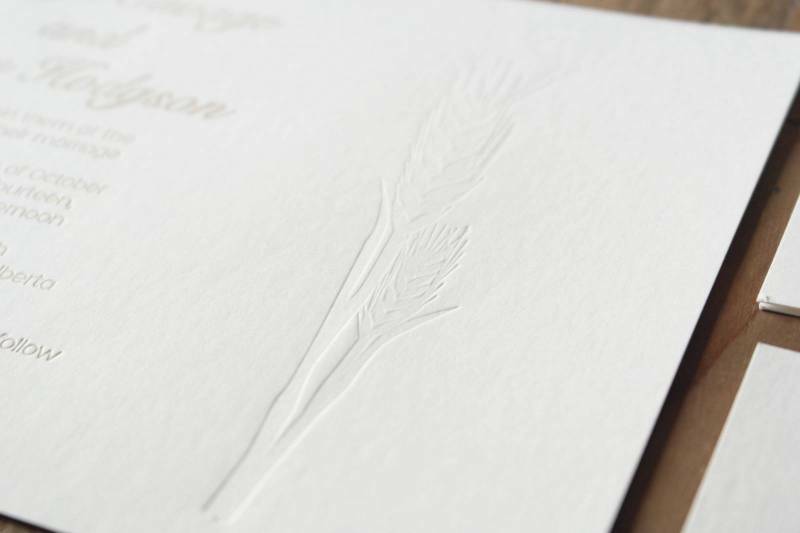 What makes letterpress invites stand out is their sophisticated and elegant look with a nod to the past. The luxurious combination of the texture of the 100% cotton paper and the imprinted design makes each piece stand out in the best possible way. 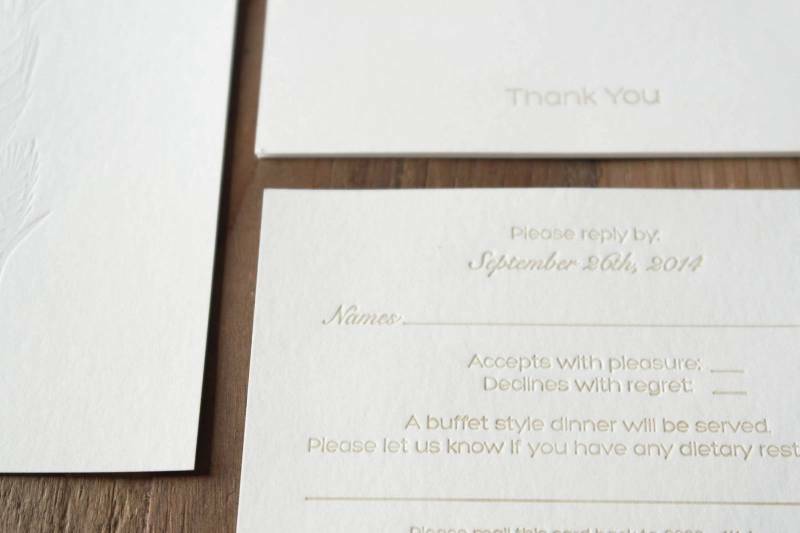 Letterpress is like a tactile white canvas with endless possibilities, the results can be fun, classic, modern, quirky or whatever the couple has envisioned for their day. 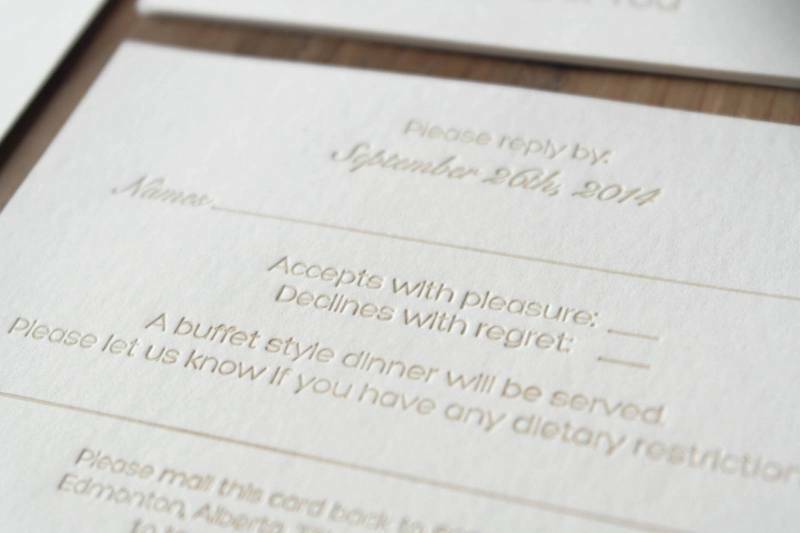 One thing I know for certain is that letterpress invitations leave a lasting impression. And who doesn't want that? 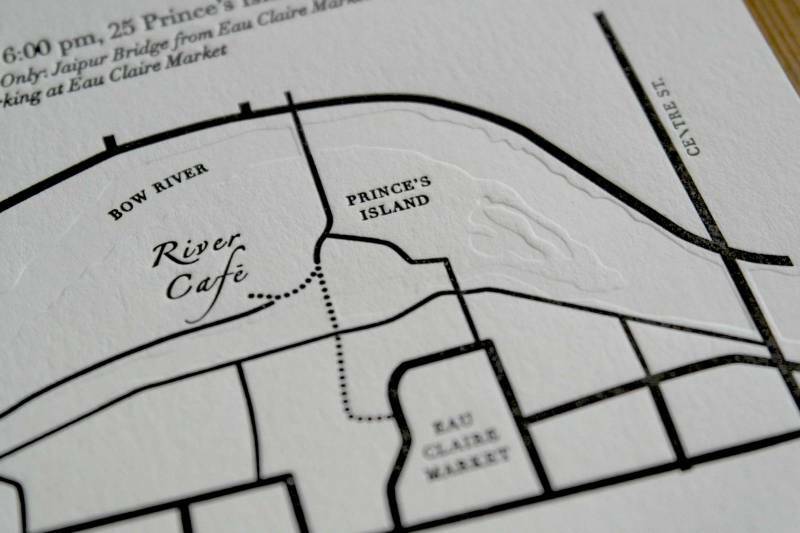 For more information and to view the beautiful letterpress work of Uppercase Press visit their website here. 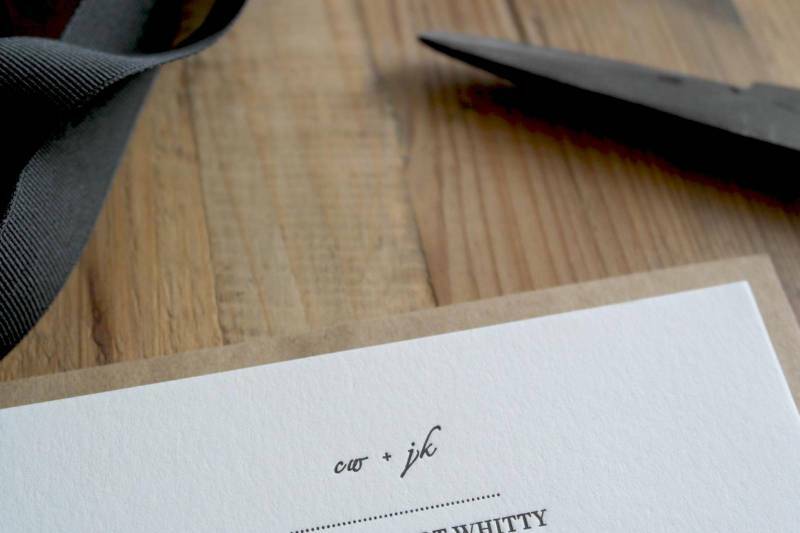 You can shop online for gorgeous letterpress cards and design custom wedding pieces too.